Clive Lindley-Jones B.Ed. (Hons) D.O. D.I.B.A.K. Clive Lindley-Jones B.Ed. (Hons) D.O. D.I.B.A.K. is a leading Integrated Health Practitioner, offering you some of the most advanced and effective health treatments for a range of conditions. People travel across Britain and Europe to experience Clive's rare and extraordinary talents. In many cases he is able to help with issues that have been unresolved using other health treatments. Clive Lindley-Jones is known best as an Osteopath - for four decades he has been providing rapid, effective relief and recovery to patients suffering from everything from back pain to Chronic Fatigue Syndrome and so much more. But what makes Clive unique is that he is so much more than purely an Osteopath. He has an unrelenting commitment to be at the leading edge of health care, to ensure that you and his patients have access to the 'best of the best'. So he is also an outstanding Teaching Diplomat of the International Board of Applied Kinesiology, Master Practitioner of Neuro Linguistic Programming, a certified Psychotherapist and coach. As a result, Clive is able to assist you with a wide range of health problems and will ensure that you experience the best possible solutions. "Over the last ten years, I have had three occasions where I have sought Clive’s help with back or leg pain. On two occasions my symptoms disappeared after just one session with him. It was quite simply remarkable. On the third occasion, I required two main visits with occasional follow up. When I look back to the first time I visited Clive I cannot believe that I spent a year of pain contemplating that first visit. During that year, I had been referred to doctors and to hospitals but to put it bluntly, the NHS didn’t have a clue how to help me. Clive did - and for that I am hugely grateful. My other big surprise was that Osteopathy with Clive was so gentle and easy. If you are in pain or discomfort- go and see Clive Lindley-Jones. He is amazing!" Has a degree in Education and Sociology, taught in the UK and Japan before studying Osteopathic Medicine at The European School Osteopathy, where he graduated in 1981. He was on the Faculty of the European School of Osteopathy from 1983 to 1993. In 1992 he became a Diplomate of the International Board of Applied Kinesiology. 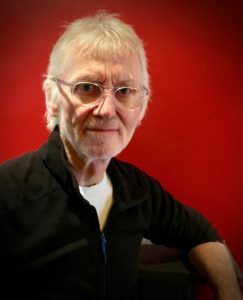 As a Teaching Diplomate he has taught health professionals numerous standard and advanced courses in Applied Kinesiology in England, Germany, Belgium, Holland, Korea, Japan and Australia. For many years he was closely involved with the Registered Charity, The Sunflower Trust. As well as helping many young children in his clinic, he taught clinicians in the UK & Germany the Osteopathic/AK, Functional Medicine & NLP based protocol for helping children who may be underachieving at school or have behaviour, learning or health difficulties. He is a recovering cyclist, having cycled from Lands End to John O’Groats in aid of this charity in the summer of 2017 to celebrate his 70th year! You can see a video of this adventure below. He is registered with the General Osteopathic Council, is a member of the Institute of Osteopathy and was on The International Board of Examiners (IBE) of the International College of Applied Kinesiology for many years. He has worked in private practice in Oxford UK, since 1982. You can see video's of some of Clive's lectures here. Here is the video of Clive's latest adventure cycling from Lands End to John O'Groats in 2017, quite a feat for a man in his 70's!